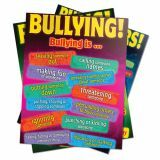 Make a strong statement in your school about the dangers of bullying. 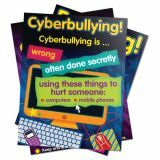 Each set includes six full color 17" x 24" laminated posters with bold, easy-to-read text aimed at the student's level of understanding. 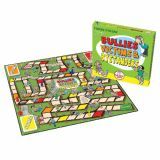 Address the role of bullies, bystanders, victims and social networking. Set of 6. Compose a portrait of your family! 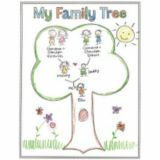 Trace a family grouping and use the specially designed rubbing plate to create patterns for clothing. Up to 4 3⁄4" x 10 1⁄2". 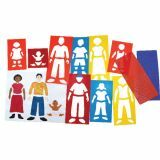 Includes 9 stencils, 4 rubbing plates, and teacher guide. 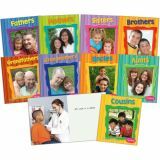 Diverse photos help readers place themselves in their family while seeing other families. Simple text explains the relationships that make up a family. A family tree diagram in each title furthers comprehension. Set of 9 books, 24 pages each. 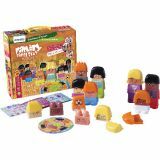 Family Diversity Blocks, a game with a wheel to build different kinds of families. It helps with understanding the different kinds of family that they may encounter in modern society. It encourages a respect for diversity with activities involving moving and building. 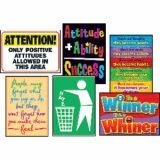 promoting a positive classroom environment. 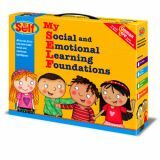 Filled with popular childhood themes and experiences, each title features kid friendly, real world examples. Practical tips paired with bold photos will spark lively classroom conversations. 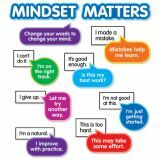 A perfect teaching resource for character education! 24 pages each, set of 10 books.